Multi-process Firefox on the N900 ? I’m really glad fennec/firefox RC 1.0 came out for maemo! If you’ve got an N810 or N900, but haven’t installed firefox on it yet, rush to firefox.com/m from your device browser and click “download”. With it, you’ll be able to unleash all the great plugin power you were used to with the desktop version! Try it. Here’s a snapshop I did with the “load-applet” app available on the Maemo Select repository. I’m still amazed at the N900 processing power. 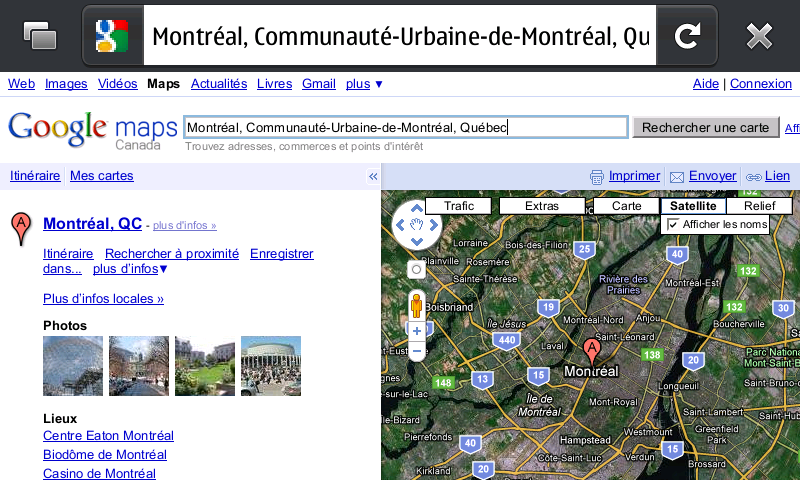 it lets me surf google maps as I used to on my desktop firefox! I’m even editing this blog entry with fennec/firefox running on my N900 !! I’m currently working on the Electrolysis project (multi-process firefox) and so, I can’t keep thinking of all the implications a multi-process fennec would have on the N900. Watch https://wiki.mozilla.org/Content_Processes for more news.